JLT Novices Chase Winner at the 2018 Cheltenham Festival Shattered Love is set to miss the Unibet Irish Gold Cup at Leopardstown during the Dublin Racing Festival. 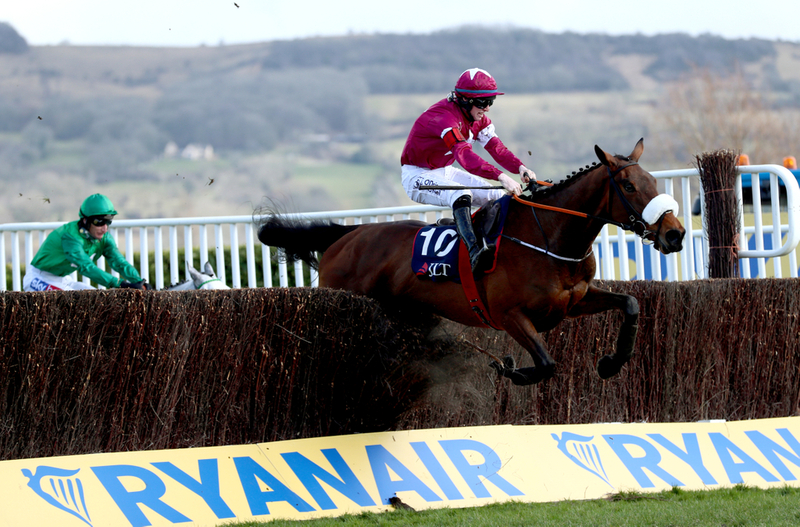 This decision has been made trainer Gordon Elliott in a conscious decision to get the mare as good as she can be for her chance in the Cheltenham Gold Cup. Shattered Love made a promising start on her seasonal reappearance when finishing a good second at Down royal and the in the Grade 1 John Durkan Memorial Punchestown Chase aswell. Her latest outing however, gave her trainer cause for concern when she finished a laboured last of the pack in the Grade 1 Savills Chase seeing nine other runners finish home before her. From this trainer Gordon Elliott revealed that she returned home sore and is planning to keep her a fresh as possible, so when she heads to the big Grade 1 at Cheltenham she will be in peak condition. (Credit At The Races) Elliott said: “She won’t be running in the Irish Gold Cup, because she came home with sore shins from Leopardstown the last day. The Noel Meade trained Road To Respect is also likely to be entered into the Gold Cup in March and he leads the market for the big one at Leopardstown at the start of February. Last time out he suffered a unfortunate run in the Savills Chase when finishing third behind winner Kemboy, but was knocked and stumbled, which only dented his chances of winning the race. (Credit At The Races) Trainer Noel Meade said: “Everyone saw what happened in the race, and they can make up their own mind as to what might have happened.